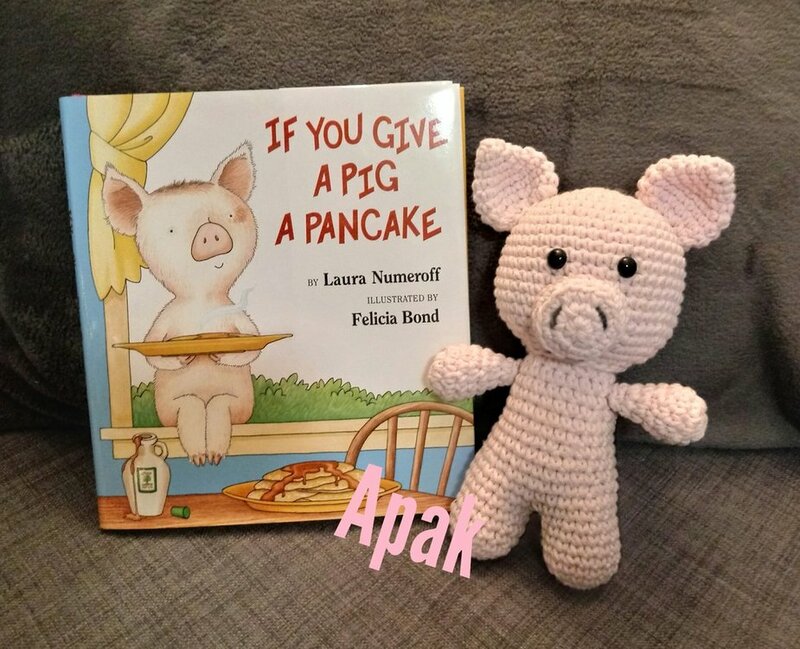 Some people ( my DD, my teacher friend) kept asking when the Pig from the book "If you give a pig a pancake" would be ready. To be honest - it took me quite a long time to start. But finally - there she is. I planned to leave her as you can see in the pic with the book. But my kids said she definitely needed some clothes, so I made her the skirt. I used the pattern "Little pig" by lilleliis. Such a cute little pig. So cute and looks like a wonderful book! The little skirt is adorable too. 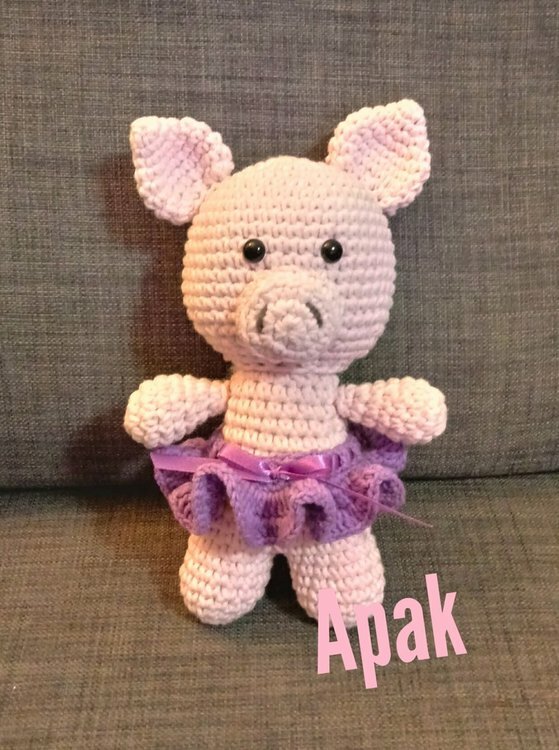 Love the Pig and she is cute in her skirt. That is adorable I the skirt. What is it about pigs that make you giggle? Great job. I am sure it helps with the story.